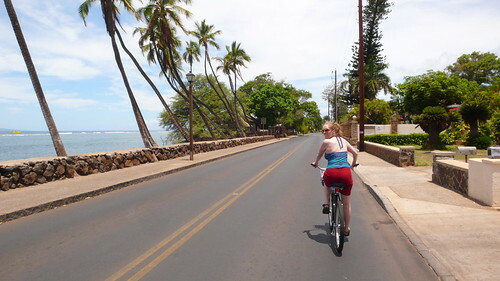 Jess & KT embark on their daily cruise down Front Street. 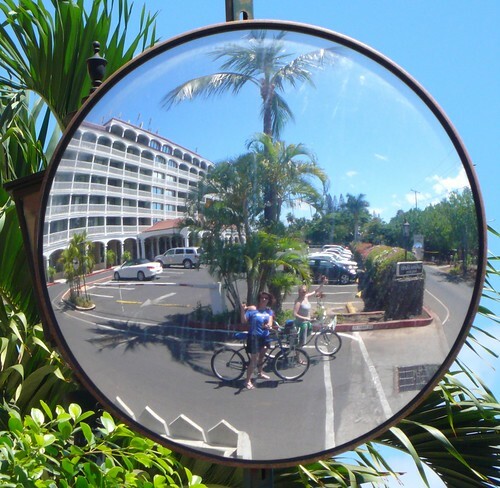 We took this in front of our hotel, The Lahaina Shores Beach Resort. The staff allowed us to use the freight elevator in order to keep our bikes safely inside our room on the deck. Jess and I got our cruisers from Boss Frog. 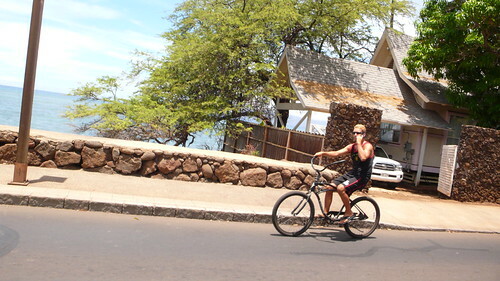 What Lahaina really could use is a proper bike rental company for visitors like us. Boss Frog had only a handful of bikes for rent, and they weren't the friendliest folks we met on the island. But once we got our wheels, we fit right into the local motion. Oh hai! 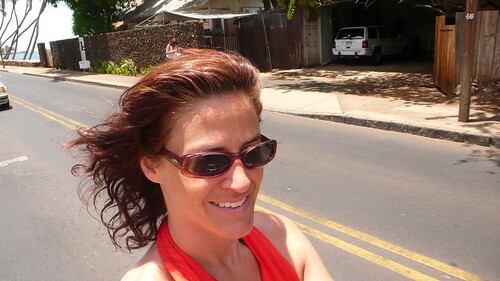 Bikes + summer weather = ride in your bikini! Local girl cruises in style.